This post is part of a Shabbat dinner series sponsored by Reboot and OneTable taking place on the National Day of Unplugging, March 9-10. Read the article below, written by the Executive Director of OneTable, addressing “Nurture Your Health”, from our Sabbath Manifesto. Then, download our conversation game crafted just for these special dinners on the National Day of Unplugging, and sign up to host your own dinner via OneTable! An invitation to take care of yourself: What new or different steps could you take to better care for your health? Now that January is behind us and we’ve moved on from the frenetic energy around New Year’s resolutions, we can admit that there’s more to health than what’s on the table, and that’s who is around it. Health and happiness are deeply linked and finding joy is about a lot more than denying yourself the free office treats. At OneTable we help millennials come together weekly for Shabbat dinner, so I spend most of my week thinking about the incredible life-changing power of meeting for a meal. My childhood home was always busy, always loud, always full of people. Shabbat dinner was a time when we all sat still, around the table, covered with a carefully ironed white tablecloth, fresh flowers, sweet wine and fresh challah. The ritual of coming together around the table grounded our family. Seriously, just thinking about it slows my heart rate. I am a physical, emotional type. I lead with my gut, informed by data and strategy to be sure, but my life’s work is dedicated to helping others live maximally. Our world moves fast and is a total mess, it’s easier to keep our heads down and work, or dive into our phones and just ignore the world around us. Yet, we are so much happier, more productive, wise and kind when we look others in the eye, engage in conversation and mark transitional moments with some form of ritual. While it’s rewarding to know that these micro-communities are forming around the country over unplugging and recharging with Shabbat dinner, it’s also a crucial step in creating a healthier generation. According to a study conducted by Tom Rath of the Gallup organization, friendships can improve health, help save marriages, and help prevent homelessness. And, according to a study conducted by the National Institute on Aging, friendships (not familial relationships) continue to positively affect your health as you age. Another young woman, Katie, told me that when she moved across the country to live with her partner the first few months were awful because she felt so lonely without a friend group. She’s a part of a growing epidemic among young adults. The US General Social Survey found that the number of Americans with no close friends has tripled since 1985, and that millennials are the loneliest generation. I’m struck by the terrible reality of this. Loneliness is not just spending your nights curled up alone for a Netflix binge session, it can take a serious toll on your health. Loneliness has been linked to cognitive decline, including the development of Alzheimer’s. So, what’s to be done about this? We can nurture our health by nourishing each other. After a few months in her new home, Katie started attending monthly Queer Shabbat dinners and now has a strong network of friends (she says a “#ShabbatSquad”) she probably would not have met otherwise. And sometimes we all to need to find our own way to unplug in order to recharge and connect with the people around us. Shabbat dinner can be that space to slow down, take a step back, and come together. This year, OneTable is thrilled to join with Reboot to help more millennials unplug from the chaos of everyday life and recharge their bodies and minds through The Friday Night Recharge, on March 9, 2018 in conjunction with Reboot’s National Day of Unplugging campaign. OneTable supports Friday night Shabbat dinners and is a community primarily made up of people in their 20’s and 30’s, over 21, not in college, and without children. Guests of any and all religions and cultures are welcome. Use the Friday Night Recharge image for your dinner! If you’re hosting a dinner open to new people to join keywords like “Friday Night Recharge”, “National Day of Unplugging”, and/or “Reboot” so that guests can find your Shabbat. The platform will make posting your dinner and inviting guests simple and our Hub Managers are on call to answer any questions you might have while preparing for your Recharge. Resources for getting the most out of your night of intention and rejuvenation will be provided including this Reboot x OneTable dice game, as well as Nourishment Credits to help elevate the experience. I’m inspired by hosts, like Hillary, who welcome strangers into their homes and by guests, like Katie, who take their happiness into their own hands and attend a stranger’s dinner. This is the kind of resolution we each can commit ourselves to weekly. As for nurturing my own health, I’m committing not only to continuing my Shabbat dinner practice, but to opening up my table to strangers, popping the social bubble, and letting myself be nurtured by connections that will surprise me. May The Friday Night Recharge inspire you to nourish yourself by unplugging and recharging through dinner with people you love. Aliza is a dynamic leader and social entrepreneur. 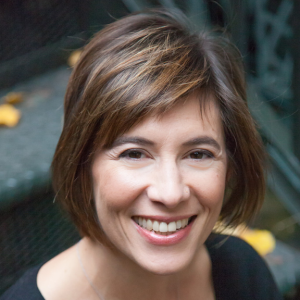 Aliza was also the founding executive director of Mayyim Hayyim Community Mikveh and Education Center in Boston, an international model for re-imagining Jewish ritual open to the full diversity of the Jewish community. In 2009, Aliza was awarded an Avi Chai Fellowship. A trained coach and design thinking facilitator, Aliza has worked with clients throughout North America and Israel. She earned her BA from Washington University in St. Louis and her MPA from New York University. She lives in Brooklyn, New York with her husband Bradley Solmsen and their very smart and talented daughters Ela, Gila and Nomi. We've worked with OneTable to craft a unique conversation game centered on asking meaningful questions around the dinner table using home-made dice! Sign up below to download the game resources for free, and sign up to host your own dinner on the OneTable website.